Piemonte (Piedmont) is in the northwest corner of Italy and borders the Aosta Valley (Valle d’Aosta) and Switzerland to the north, France to the west, Liguria to the south, and Lombardia to the east. 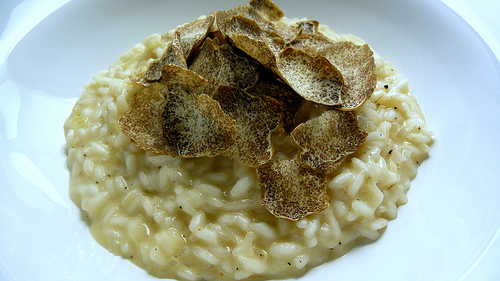 Piemonte is known for its white truffles, cheese, red wine, risotto, chocolate, hazelnuts, chestnuts, and beef. 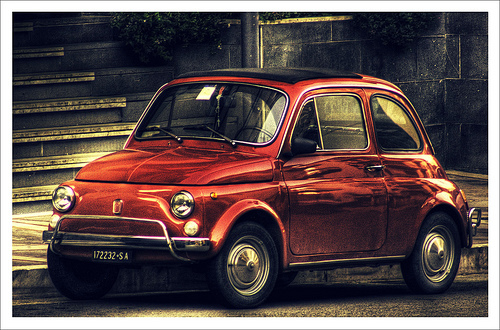 It’s one of the most important wine regions in Italy. When I think of Piemonte I think of the taste of the earth in autumn: the mustiness of the white truffles and Barolo, the tannin of the chocolate, the earthy hazelnuts, and the divine fassone beef. Essentially it is the flavour of everything you can harvest or find in September and October: grapes, truffles, cardoons, hazelnuts, and pheasants. 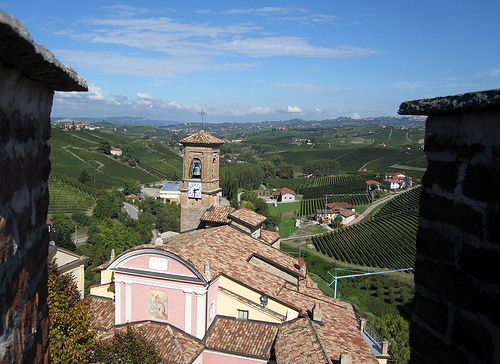 Piemonte is where I got engaged to my husband on a truffle-hunting and Barolo wine-tasting trip. It is also where I got married, at a winery. 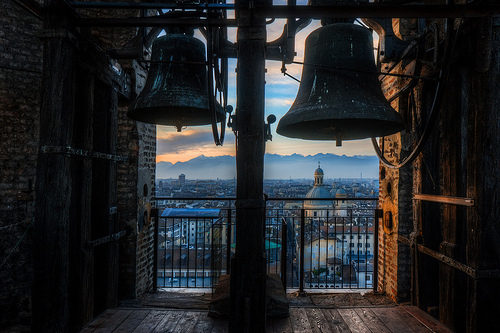 My mother-in-law is from Torino (Turin), the capital of Piemonte, and the food from this region is the food of my husband’s childhood, which we are now passing on to our children. Piemonte was once part of the Royal House of Savoy. It is filled with beautiful castles, stunning landscapes like those of the terraced vineyards, and lovely cafes where one can enjoy coffee and chocolate. 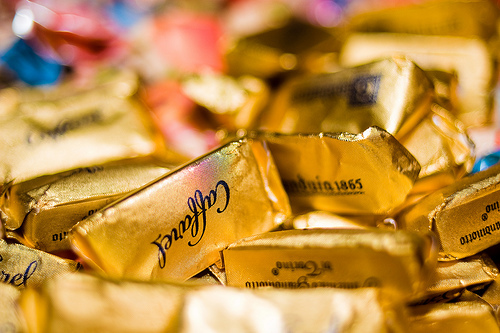 Turin chocolatiers obtained their first license to sell chocolate as early as 1678 and the Swiss learned the art of making chocolate from the Torinesi. It is a great place to go if you have a sweet tooth, as I do. The Baroque city of Torino was part of the House of Savoy for almost 900 years and was the capital of the first Kingdom of Italy. Many famous companies were created or had their headquarters here, including Fiat, GFT (the owners of Armani, Valentino, and Cerruti), Lavazza, Cinzano, and Martini & Rossi. Nietzsche wrote major works in Torino and lived the last of his years there. Cultural places to visit include the Museo Egizio (one of the best collections of Egyptian antiquities in the world), Galleria Sabauda (a gallery housing the important art collections of the House of Savoy), Museo del Cinema (a museum dedicated to the history of cinema), Museo dell’ Automobile Carlo Biscaretti di Ruffi (a historical car museum), and the Holy Shroud (said to be the cloth Jesus Christ was wrapped in after the crucifixion) that is housed in the Renaissance cathedral, or Duomo. Outside Torino, Sacra di San Michele (a Benedictine abbey) is also worth visiting: it’s situated on a hill with great views of the Alps. 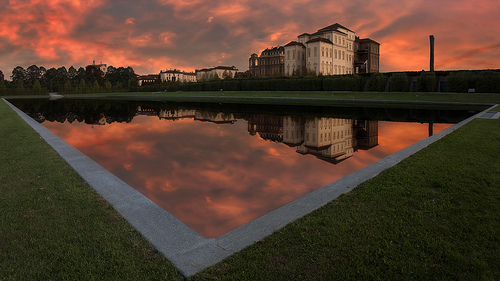 Castello di Rivoli is a Savoy castle above Turin which houses a modern art museum. 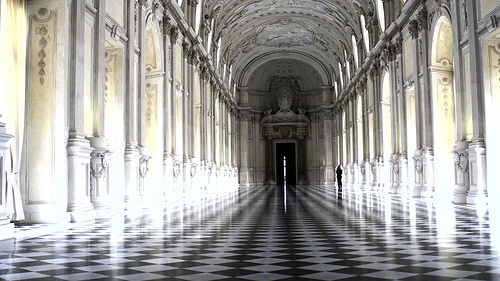 La Venaria Reale is also nearby and is one of Europe’s finest galleries and grounds. 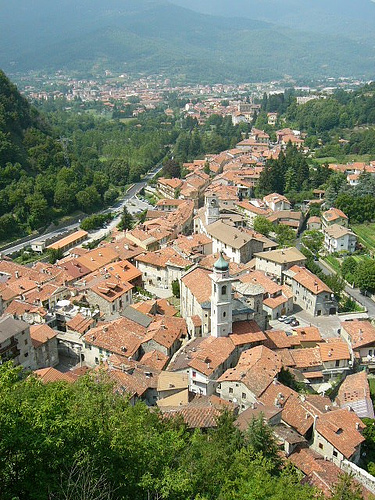 Outside of Torino, Saluzzo is a pretty medieval hillside town with a castle, Castello della Manta. This aristocratic residence dates from the 12th century and features a beautiful fresco cycle. 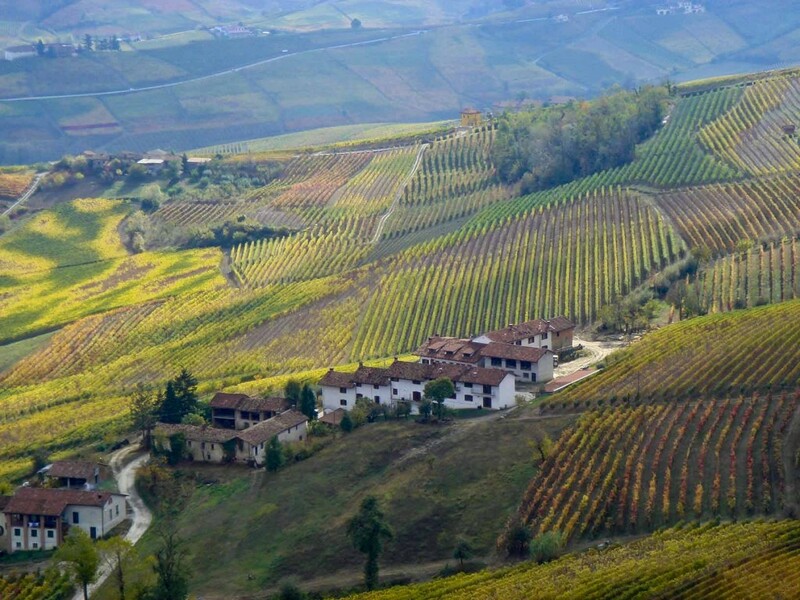 My husband loves the Langhe hills as they are home to some of his favourite restaurants and wineries that produce Barolo and Nebbiolo wines. There are many picturesque towns in the Langhe including La Morra, Barolo, Neive, Belvedere Langhe, Bossolasco, Monforte, Dogliani, Serralunga d’Alba, Grinzane Cavour, and Alba. 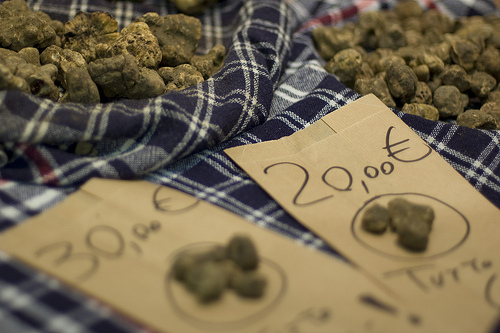 Alba is world famous for its white truffle fair and auction in the autumn. The wine route from Acqui Terme (a Roman spa town), Strada dei Castelli dell’Alto Monferrato, is a spectacular drive through the hills and valleys of this prestigious winemaking area. Other suggested places to visit in Piemonte include: l’Abbazia di Vezzolano (a medieval town near Asti), Lago Maggiore (don’t miss Arona, Stresa and the palace of Isola Bella – one of the Barromean Islands), Chianale (a tiny stone village of 200 people divided by a stream with a bridge connecting the town), Garessio (a medieval town known for nearby mineral water), Macugnaga (an attractive village with a breath-taking view of Monte Rosa), Mombaldone (a walled medieval castle village), Orta San Giulio (a pretty village of Neoclassical buildings and open gardens sloping down to Orta Lake), Ostana (a lovely village with panoramic views of the Po Valley), il Castello di Racconigi (the Royal Castle of Racconigi, the palace and its landscape park are a UNESCO World Heritage site and a former home of the House of Savoy), Ricetto di Candelo (a stone walled town with 13th and 14th century shelters and towers embellished by flowers), la Palazzina di Caccia di Stupinigi (a royal Savoyard hunting palace outside Torino), Usseaux (a tiny village of stone and wood houses set in an enchanting alpine setting) and Vogigna(a stone village set within the Val Grande National Park). Things to bring home include: wine, chocolates, giandujotti, white truffles, torrone, biscuits, Nutella, Toma cheese, tofeja (terracotta bean pots), and household silver. 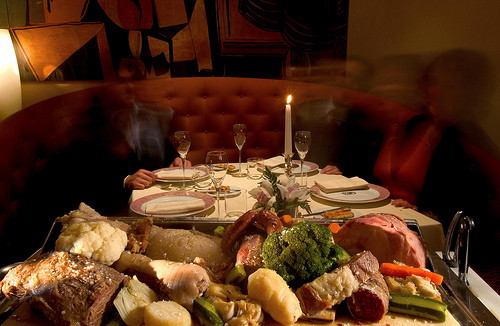 This is a very formal restaurant known to be one of the city’s best. Try the vitello tonnato (thinly sliced veal with tuna sauce), agnolotti al sugo di arrosto (pasta stuffed with roast meat with roast meat gravy), finanzeria (mixed meat stew in Marsala wine, vinegar, or white wine), guanciale brasato sulla polenta (braised beef cheeks on polenta), and zabaglione (a hot, creamy egg and Marsala wine dessert sauce). A beautiful Art Nouveau cafe founded in 1875. This is a good place to buy giandujotti. Another fine Art Nouveau cafe from 1903. This is a good place to try bicerin. 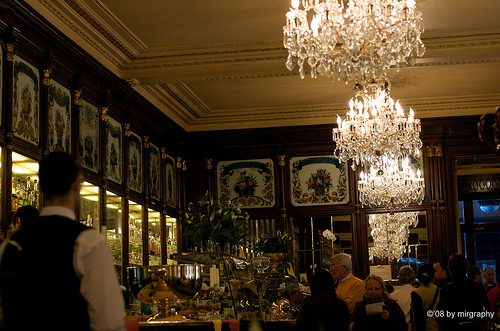 Renowned for its ice cream (gelato), this cafe was founded in 1780. My husband proposed to me at Cesare Giaccone’s previous restaurant so the chef is very special to us. There is a set menu with some options but dishes which are particularly good are the capretto allo spiedo (spit-roasted kid goat), polentina con salsa di castagne e tartufo bianco (polenta with poached egg, chestnut, and white truffle), zabaglione (a hot, creamy egg and Marsala wine dessert sauce), and the torta di nocciola (hazelnut cake). They also make their own vinegar which is very good. Closed on Mondays and Tuesdays. Superlative cooking of traditional Piedmontese dishes with a simple but sophisticated presentation. 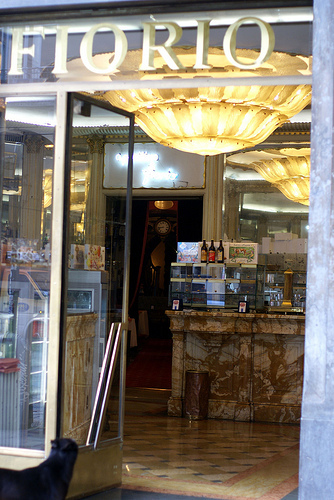 One of my favourite Italian food stores in the world. 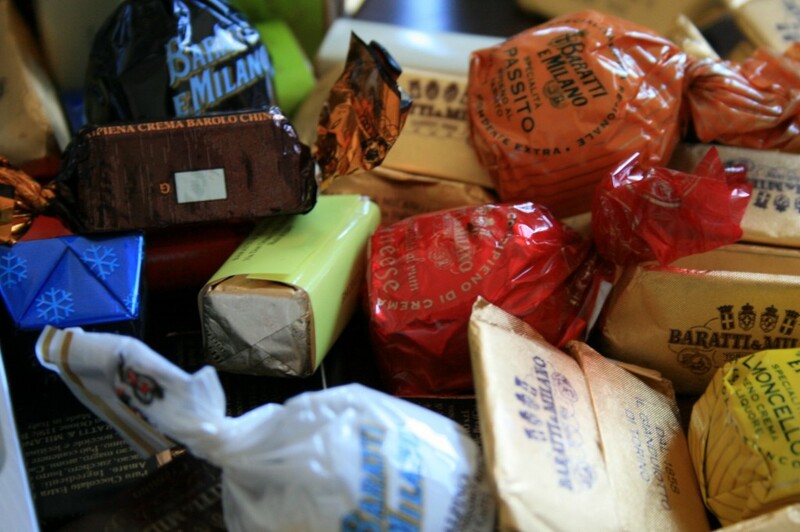 It is a wonderland of artisan Italian food products. Divided into different sections, you have people making mozzarella cheese in front of you, others rolling out fresh pasta, and the most dazzling array of vegetables and fruits. There are also restaurants, pastry counters, and a gelateria. There are now also a shops in New York City, Milano, Roma, Bari, Firenze, Genova, Bologna, Incontra, Pinerolo, and Montiallo. Piedmontese food tends to be richer as its cooks love to use cheese, butter, and milk in their dishes, showing the influence of France. The food here is robust and pungent yet delicate. Everything in Piemonte has flavour and you can taste the mountains, the valleys, and the forest. In fact, the name Piemonte means foot of the mountain (as it is surrounded by the Alps and the Apennine mountains). Piemonte is a land of risotto with Carnaroli, Baldo, Sant’andrea, Vialone, Arborio, and Arborio Superfino varieties being grown here. “Rice is to the northern provinces of Italy (Lombardy, Piedmont, and the Veneto) what pasta is to the south. The fact that this rice can be cooked contrary to all rules, slowly, in a small amount of liquid, and emerge in a perfect state of creaminess with a very slightly resistant core in each grain gives the risotto its particular character. 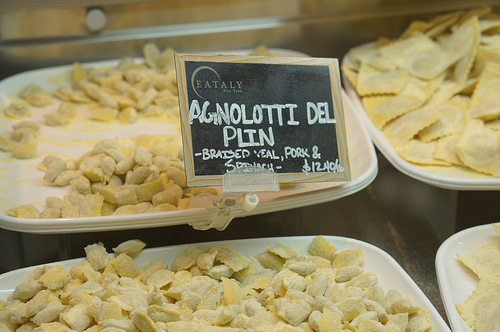 Most people associate white truffles with Piemonte as they are the most expensive food in the world and the best and biggest ones are mainly found here. As yet they are unable to cultivate white truffles so they retain their elusive and quite exclusive character. It feels like every year the price of white truffles climbs and is pronounced to have peaked. Other typical ingredients from Piemonte include game (pheasant, chamois, partridge, hare, and quail), garlic, cardoons, honey, peaches, apricots, cherries, strawberries, apples, melons, pears, plums, cugnà (grape mustard), cheeses (Robiola, Castelmagno, Bros, and Toma), onions, mushrooms (including porcini, porcinelli, and ovoli), asparagus, beetroot, potatoes, peppers, leeks, turnips, radishes, pumpkin, and vermouth. The most famous dishes from here are grissini (breadsticks that are the lightest, crispest you will find), vitello tonnato (veal with a tuna sauce), bagna caoda (raw vegetables with a warm olive oil, anchovy, garlic dip that is mainly eaten in winter), agnolotti (pasta stuffed with roasted meat), risotto con Barolo (risotto cooked in red wine), risotto con tartufi alla piemontese (white truffle risotto), brasato al Barolo (beef braised in red wine), bollito misto (mixed boiled meats), brutti ma buoni (‘ugly but good’ biscuits), savoiardi (crisp lady finger’s biscuits), zabaglione (a hot, creamy egg and Marsala wine dessert sauce), giandujotti (hazelnut and chocolate – out of this world! ), and torrone (almond and nougat candy). See recipes here. Nutella deserves a special mention as it was invented here. I can only describe Nutella as a little piece of heaven which you can put into your mouth. It is hazelnuts and chocolate blended together into a paste which you can put on crepes, toast, ice cream, etc. Beware, Nutella is highly addictive. 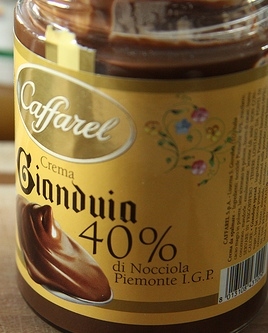 Gianduia, the locally made artisan chocolate hazelnut spread, is unbelievably even better so look in fine chocolate shops for it. See Piedmontese recipes here. Some of Italy’s best fine wines, Barolo and Barbaresco, are from Piemonte. 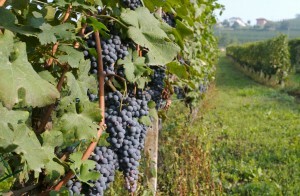 Look for Barolo made by producers such as Aldo Conterno, GD Vajra, Giacomo Conterno, Giuseppe Mascarello, Massolino, Michele Chiarlo, Oddero, and Pio Cesare. 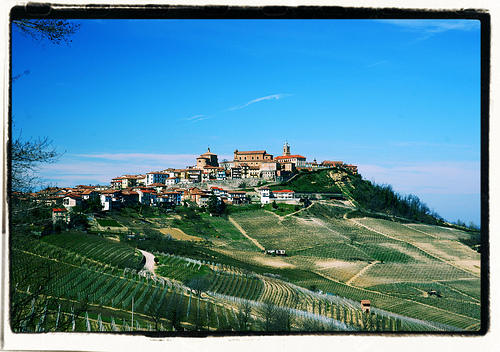 The best producers of Barbaresco include: Bruno Giacosa, Bruno Rocca, Gaja, I. Paglieri (Roagna) and Sottimano. Barbera, Dolcetto, and Langhe Nebbiolo are nice red table wines for every day. For Barbera, look for wines from Barbera d’Alba and Barbera d’Asti and producers such as Azelia, Luigi Baudana, Gaja, Vietti, and Voerzio. For Dolcetto, look for wines from Dolcetto di Dogliani and Dolcetto d’Alba made by producers such as Luigi Einaudi and Marengo. 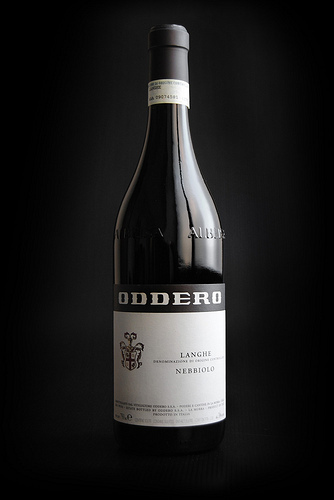 For Langhe Nebbiolo look for producers such as Aldo Conterno, Giacomo Conterno, Gaja, and GD Vajra. Although the region is not famous for white wines, Timorasso is one of Italy’s best white wines and quite rare. There are also nice white wines from Gavi and the Langhe. The Chardonnay grape has become an important as is the Arneis grape. 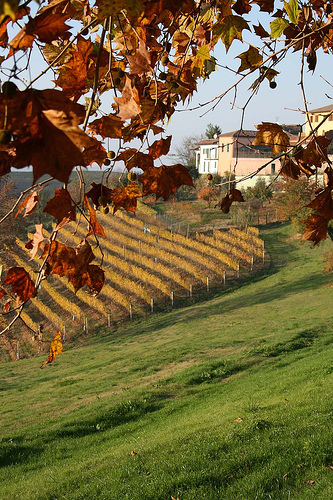 For white wines from Gavi (Cortese grape) look for producers such as Bergaglio, Broglia, and La Giustiniana. 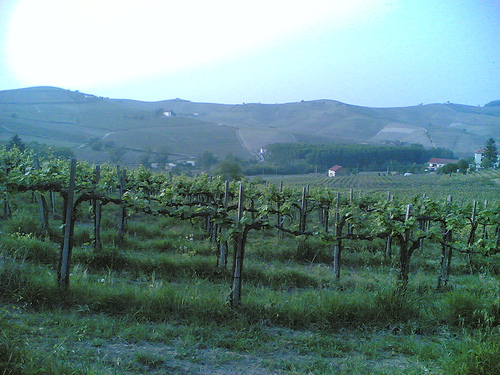 In the Langhe, various grapes are used but for Chardonnay grape based wines look for producers such as Aldo Conterno, Bricco Maiolica, and Gaja; for Vermentino grape based wines try the producer Gianni Gagliardo; for Riesling grape based wines try the producer GD Vajra; and for Arneis grape based wines try the producer Ascheri. Finally there are simple sparkling wines from Asti, Moscato d’Asti (typically served as a dessert wine) and Asti Spumante, both of which are typically slightly sweet. 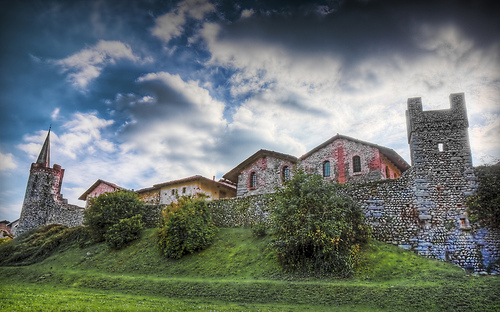 A good producer of both wines is Cascina Fonda. La Scolca from Gavi is another good producer of sparkling wine.